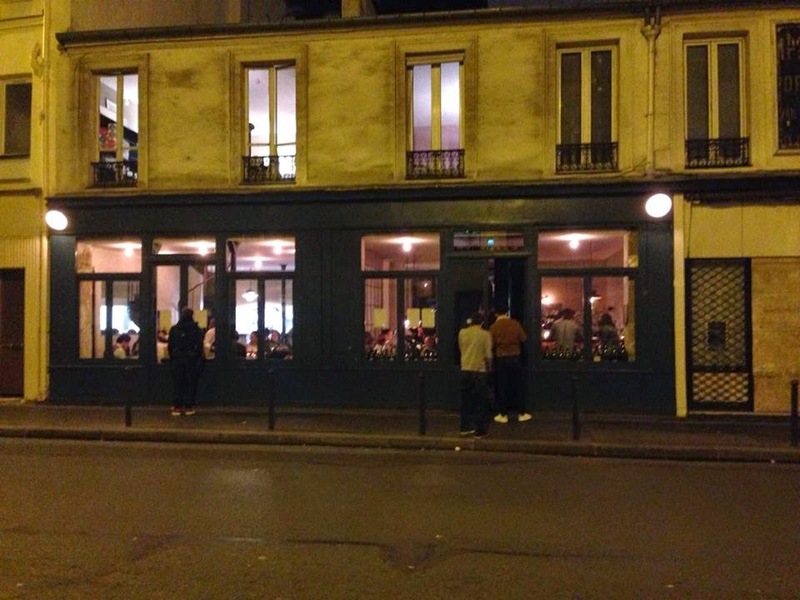 Sometime a few years ago, Chef Bertrand Grebaut decided to open up this little restaurant called Septime. These days, its one of the hardest reservations to get in Paris. Hidden with no sign in front of its doors other than a piece of paper taped on the window that reads "Septime", this 1 Michelin star restaurant is rustic and the menu is innovative. If you want to order a la carte, you're out of luck here. It's a set menu and you have no idea what you're in for. My cousin who resides in Paris was able to secure a reservation by calling the minute the reservation lines opened (10:00am,3 weeks prior to the reservation date). Upon arrival, we were seated immediately. Wooden chairs and candle-lit tables are distributed throughout the restaurant with a fairly open kitchen. Water is served in old gin bottles. The menu was not given out tonight but rather, was going to be a surprise according to our waiter. Waiters speak both French and English so no translation book is necessary at this establishment. THE FIRST COURSE: Raw scallops lay under a layer of pickled cabbage. The essence of parsley is sprinkled throughout the dish. This is probably one of my favorites. It was a great start to the menu. It was light, not overpowering with flavor, and the scallops were magnificent. THE SECOND COURSE: Another light dish. It had pickled root with herbs and a sauce that complemented each ingredient. The sauce was creamy, but it was necessary to coat the roots in this dish. THE FOURTH COURSE: Fish dish. The fish was delicious. Slightly flakey, not overcooked, and had an orange butter sauce to accompany the dish. It was served with an herb salad. THE FIFTH COURSE: Meat dish. It was a type of poultry. Good. Moist. Nothing spectacular in my opinion. DESSERT 1: It had a cream with a pumpkin sauce. Granola was served along with it. This felt more like a breakfast dish than a dessert. I wasn't completely amazed by this dish. DESSERT 2: My favorite dish. It had a cake with hazelnut ice cream and hazelnuts. Everything about this dish was decadent. The warm cake went nicely with one of the best ice creams I've ever tasted. If I could just have a bowl of that ice cream, I would be a very happy camper. Overall, I was not overly impressed with this restaurant. Yes, it was good. Yes, it has a Michelin star, but the overall menu was not that superb. My cousin and I had ordered a red wine prior to our meal, and the waiter failed to inform us that the wine we ordered would not complement our dishes. When we asked our waiter about it after the second course, he also agreed but did nothing to make our experience memorable. Regardless, my experience will be memorable just for the mere fact that this Michelin-starred restaurant gave me FOOD POISONING. Would I come back? Maybe... as I always give restaurants a second chance; however, I wouldn't go out of my way to get a reservation. We each paid around €80 for the meal. With that price, there are plenty of better restaurants in Paris to try.